A Russell man was taken to the hospital with serious injuries after a Hadley motorcycle accident involving his bike and another vehicle. The accident happened at the intersection of West Street and North Lane after noon. 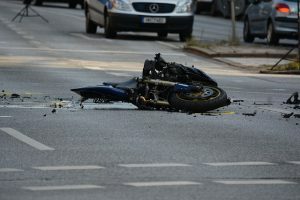 The 21-year-old motorcycle rider suffered injuries to his left side. The injuries did not appear to be life-threatening. The driver of the vehicle was identified as a 59-year-old South Hadley woman. She was cited for failure to yield following the crash. She received minor injuries in the accident. The intersection was temporarily closed as the scene was cleared. Motorcycle accidents can bring highly devastating results. We want to stand by your side to help you compensate during this difficult time when you have been injured in a serious crash and need our help. At the Law Offices of Jeffrey S. Glassman, we care about your case and helping you get results. Call us today at 617-367-2900 for more information.